Smart money management begins with understanding every transaction you make. That includes personal business, too. After all, the principles of sound money management are as applicable there as they are in your drive to achieve the Dot Com lifestyle. So there’s every reason to keep your attention to detail as line-item oriented as if you were scrutinizing a new software offer. Take buying a car. It’s a purchase we all make at least once in our lives, and more often than not, we’ll do it through a dealership. This list is designed to help you save money by being aware of how dealers maximize their profits. This is the most obvious of a dealership’s revenue streams. The difference between the dealer cost (invoice) and manufacturer’s suggested retail price (MSRP) is typically 5%-10%. This may not sound like a ton of mark-up, but when you consider that you’re dealing with thousands of dollars, the profit margin becomes significant. For example, a car that costs a dealer $50,000 could generate a profit of around $5000. Multiply that by a few hundred cars a month, and a dealership would be on target to rake in around $1million a month on mark-up alone. When a dealer sells a new car — as opposed to one that’s been owned before — the sale is RDR’d (retail delivery reported) to the manufacturer, which is formal notification that one of their units has been sold. Upon verification, the manufacturer pays the dealer a set amount of money for hold-back and advertising. This amount is listed on the invoice in a less-than-obvious location and can often abbreviated or written such that a customer may not be able to discern the information in the event he or she sees the actual invoice. For example: if an educated customer only pays a certain percentage over invoice, then that percentage is calculated by the invoice price before any hold-back or advertising is deducted. Once the deal is funded and the contract is RDR’d, the manufacturer sends the dealer a substantial amount of money. It’s not unusual for this to be as much as $2500. Face it, this is bargaining time. Why wouldn’t a dealer attempt to undervalue the trade to make an immediate profit? In turn, that precipitates a better profit later when the trade is sold. The immediate profit comes from what is called the ACV (actual cash value). If a trade is really worth $16,500 (ACV) and the dealer only shows the customer $15,500, then there’s an immediate $1000 profit from the start. The trick is to know where a dealer sources his appraisal information, the most common of which are Black Book and Manheim Auction Reports. Dealers will rarely match Kelly Blue Book and NADA and use that number to get a fair value for your trade. This negotiation sets the stage for the dealer’s profit when he sells your trade in. Now, here’s where many factors come into play. The lenders will book out a car based on a standard process; typically, a program called Dealer-Track will provide access to NADA for the banks and the dealerships to see where a car’s value stands in the market. Banks, of course, will loan a certain percentage of the car’s loan value based on the customer’s credit worthiness. Let’s say the car books out for $19,125 (this is 100%), and the potential buyer has great credit. The bank will loan up to 135% of the car’s value for that customer. This means the dealer can sell the car to that well-qualified customer for almost $26,000 — that’s 135% of $19,125 — and make a nice profit ($7,000). On the other hand, if a person has poor credit, then the banks will loan less than 100% and either the dealer will have to take the deal at a lesser profit or the customer will have to put some cash down to generate a profit the dealer will accept. New and used cars are packed. This is a figure that’s immediately added to the car in addition to the already existing mark-up. It’s typically money that goes to pay the owner. The amount of pack varies between dealerships, whether the car is new or used, and so on, but it’s rare to see a pack less than $500. Figures around $1500 happen. Let’s say a dealership sells 250 cars in a month, and the average pack is $1000: it makes a quick $250,000 a month on pack alone. $3million a year isn’t a bad salary at all. This one is the dealership’s version of the so-called shipping and handling haircut that hammers customers on mail-order purchases. This is a dollar amount the dealer says goes to cover the process of handling your paperwork, tag work, title work, tax work, loaner car, etc. The doc fees will fluctuate from dealer to dealer (on average, $299 to $699). This is a legitimate process that does require paying a handful of people for their work, but in no way does it cost anywhere close to the amount they’re charging. Most of the transaction paperwork can be done is a few minutes and via phone, internet, fax, etc. The overage naturally goes into management’s pockets. Now, this is a bad business practice and your telltale warning to find another dealer. A bump sticker looks legitimate. The dealer places it next to the manufacturer’s window sticker with a higher-priced MSRP than the actual MSRP. The dealer will try and justify this added cost by suggesting the car had some sort of special product applied to the paint or the fabric, or tht some window etching was done. Perhaps he’ll try to itemize all the work that had to be done to get the car prepped for retail (insurance, gas, detail, service, post-delivery inspection, etc), or that the car had additional mark-up because it’s a ‘hot item’ and people are paying over retail for it. This, of course, is educationally insulting. The purpose is to alter the customer’s perspective in the negotiation process. The theory is once the bump sticker is negotiated away, then the customer will feel that he or she got a fairly substantial discount, when in fact, he or she is now simply paying full MSRP for the car. That’s not a very good deal. When a customer agrees to the purchase price, he or she then goes to the F&I office (Finance and Insurance) to finalize the deal. This is where all the legal forms are signed. However, this is also where serious cash can be made for the dealership. One of the big money makers in the car business comes from the sale of Extended Service Contracts (extended warranty). Frankly, 90% of these extended warranties cover items that are never likely to break. Additionally, the purchaser must pay a deductible — on top of the $1400 or so that was just paid for the warranty — each time he or she attempts to use the warranty. The mark-up for this product is typically mandated by the state of domicile. Just expect to pay twice its original value. One positive aspect of an extended service agreement is that most are refundable; it will be prorated based on what hasn’t been used). Additionally, a certified pre-owned model is typically a better bet than an extended service agreement because that’s backed by the manufacturer’s name. Conversely, extended warranties are typically backed by the private dealership with much less public reputation at stake. Now, this is a product that could well be worth it. However, you don’t have to pay, say, $599 for it at the dealership when you can get it at your local credit union for $150. 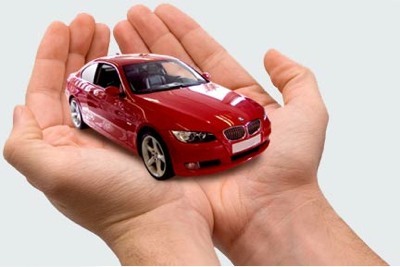 Basically, guaranteed auto protection (GAP) insurance satisfies the car loan in the event of theft or total loss. Your insurance company will only pay ACV for your loss, but GAP insurance picks up the negative equity you have remaining on your loan. For example: the depreciated value of a car is worth $11,000, but the remaining debt on it is $16,000. In the event of a total loss, the insurance company will only pay the lender $11,000 towards the loan, leaving the owner in a position to pay $5000 out-of-pocket to satisfy the loan. 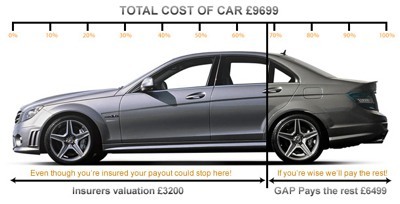 GAP insurance pays the difference, leaving the owner free to buy a new car free and clear of any additional payment on the lost car. A person with good credit should rarely have to make a down payment towards the purchase of a new car. However, there are a few instances where this may be a necessary (too much negative equity in trade, personal need to lower the monthly note, etc). But typically, if a customer is satisfied with his or her payment, and there’s not a significant amount of negative equity, then the bank should have no problem lending money to a well qualified buyer. If you can secure your own financing (personal bank, credit union, etc) before you buy, then it would be in your best interest and eliminate many of the shenanigans that can happen at a dealership. Additionally, when the sales manager’s offer is itemized with a down payment and payment listed, that payment — more often than not — can be retained without the requested money down. Down payments usually result in sheer profit for the dealership. This little gem is another reason car dealers get a bad rap. When a sales manager submits a purchaser’s application to lenders for approval, the lenders will reply with what’s known as a call back. The call back details the loan’s requirements. Example: let’s say the sales manager submits the transaction figures to a prime lender — we’ll use BB&T for the sake of the exercise — for approval. BB&T will reply with terms (24/36/48/60/72 months), maximum amount financed, stipulations (proof of income, proof of residency, references, etc), and what’s called a buy rate. This term refers to the interest rate the lender has approved for the loan. For this example, let’s use 7.9%. Here’s where the finance manager can do a bit of creative accounting. Typically, the lender will allow the dealership to make two points of rate if the purchaser is still fine with the payment. That means the rate he or she has earned is 7.9%, but the dealer can contract for 9.9% and the bank will pay the dealer the overage from the rate. This puts serious cash in their pockets. Next time you buy a car and finance with one of the dealership’s banks, ask the finance manager to see the call back from the bank and compare it with the interest rate he’s trying to finalize with you. If he refuses, then he’s holding points of rate and he doesn’t want you to see that he’s trying to get you to pay a higher rate that goes straight into his pocket.